My name is Zoltan Paszinger; I am the double-bass player with the Mystery Gang rockabilly trio. I would like to introduce our band Mystery gang. The Mystery Gang trio was formed in March 1998 to conjure up the legendary rock-a-billy spirit of the unforgettable ‘50s. The band follows the classical rockabilly line-up. Using the three basic instruments of the genre; guitar, drums and the double bass. 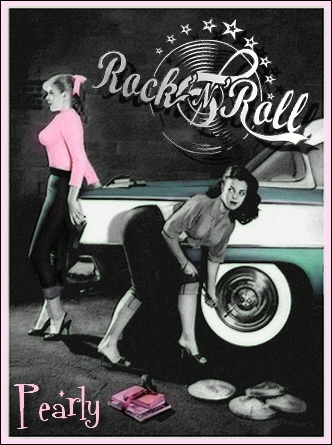 We are able to perform the songs of rockabilly’s legendary ancestors in the most credible way. Apart from the Cochran - Burnette - Vincent line, the band has also been influenced by the early music of the Stray Cats, not forgetting Elvis Presley, and even some swing. The band was formed in 1998 by three juveniles, who knew each other from the Hungarian rockin' scene since 10 years. For the charasteristic of them style is the wild 50s rockabilly. During our live performances we play our own selfpenned songs along with songs by Eddie Cochran, Gene Vincent, Johnny Burnette, Bill Lee Riley, Carl Perkins, Buddy Holly, Elvis, Curtis Gordon, Hal Harris, Andy Starr, Johnny Carroll. We play our gigs in 3 times 50 minutes sets. In our native home of Hungary we play at pubs, clubs, car fans’ and bikers’ meetings mainly, but it’s likely to catch us playing at restaurants and corporate events too, always having memorable success. In 1999 we traveled abroad several times (to Germany, France, Austria and 3 times to the Netherlands) to play clubs and festivals such as the rock and roll and rockabilly meeting in Munich, Germany. In 2000 their first 7" EP was released on Revell Yell (Japan), containing 4 songs: "Fly To The Moon," "Dirty Janes Blues," "Liquer Store" + a cover of Buddy Holly's "Rock Around With Ollie Vee". And than the first CD came out on Nervous Records (UK) in 2001 wich one was number one for 12 weeks on the sales. Meanwhile they played in Austria, Germany, France, Netherlands at the D-Day afterparty and in the UK at the Rockabilly Rave 6. Pas d'accord......La video est épatante ( je retire rien a ce que j'ai dit ) par contre ??? J'ai ecouté le CD en boutique.....Bein......sorry......ça passe pas !!! Je ferai pas le deplacement en soirée pour les voir.....Beaucoup trop néo pour moi !!! La video ne date pas d'hier, ça fait plusieurs années qu'elle est sur la toile.....d'ailleurs à l'époque j'avais accroché, mais c'est vrai qu'en visionnant d'autre videos du groupe, je n'ai plus accroché du tout ! Et c'est pas le premier groupe qui dévie de son style de départ... Le succès peut-être?